A former lineman for the Chicago Bears who became a prison guard is facing nine felony charges in Kane County, Illinois for his role in a scheme to encourage violence amongst inmates at a juvenile correctional facility as a method of self-policing. Johan Asiata, 30, spent time on the Bears practice squad and played in two games in 2010 before brief stints in the CFL and the Arena Football League. He is accused of “intentionally [failing] to report the commission of a battery as required by law,” “[allowing] juvenile residents to rough house and horseplay,” “[striking] victims about the body,” and “[bringing] contraband onto the youth center property,” amongst other things. Asiata is charged along with believed ringleader Michael Klimek and co-conspirators Andre McFarland and Elliott Short. Klimek faces 76 felony charges. Altogether they outline a harrowing portrait of violence against and incited among juvenile inmates. Klimek is accused of assaulting inmates and “[committing] the offense of mob action”—essentially creating false social strata to turn some inmates into violent disciplinarians of their fellow inmates. None of the charges against the former guards are for great bodily harm, as opposed to bodily harm, so it does not appear that any of the inmates were seriously hurt during attacks. [T]he guards, led by Klimek, encouraged certain juvenile residents to physically attack other juvenile residents, facilitated the attacks and stood idly by during the attacks. The offenses took place in January 2016 at the Illinois Youth Center-St. Charles. Police reports will not be available until admitted into evidence or after the case is closed, but Kane County State’s Attorney Joseph McMahon told Deadspin the Illinois Department of Corrections alerted the Illinois State Police once they received word of the guards’ alleged inmate violence ring. The State Police turned over the results of their investigation to the State’s Attorney, who, as I was told is custom in Kane County, took the case to a grand jury who returned indictments on all charges. 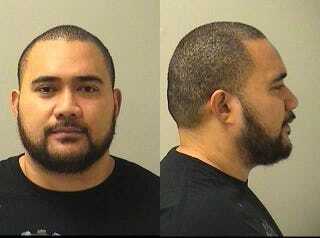 Asiata was arrested on November 23, and released on $5,000 bond the next day. Klimek, Short, and McFarland were also released on bond. The charges come at time when the state of Illinois appears to be attempting to overhaul the way it handles juveniles in its courts and corrections systems. A set of laws that went into effect in Illinois this year aim to steer the system toward rehabilitation for minors. The laws’ initiatives include no longer sentencing minors to incarceration for misdemeanors, attempting to place children under age 13 with a youth service provider instead of incarceration, and no longer issuing a mandatory life sentence for murder convictions. If we expect people—especially juveniles—to be rehabilitated, then it’s critical that we treat them with dignity and respect when they are in custody so that when they come out of custody they have a chance to reintegrate back into the community in a way that is productive and healthy for them and the community in general. The behavior alleged in the charges against the guards “almost reinforces the bad decision making and the behavior that led them to being sentenced to the Illinois Youth Center,” McMahon said. If convicted, each defendant faces up to a five-year maximum sentence for all combined charges.